WINNER! Atlanta Small Business Award 2012 -2017! Acupuncture - East Meets West! Call us! We'd love to speak with you! AVSAC is a small animal dermatology, allergy, and skin referral clinic dedicated to identifying the cause for and treating chronic skin disease in dogs and cats. Once the diagnosis is made, our emphasis is on educating clients on optimal pet skin and coat care, thereby enhancing the lives of both pet owner and pet by significantly improving quality of life through improved skin and hair coat health. 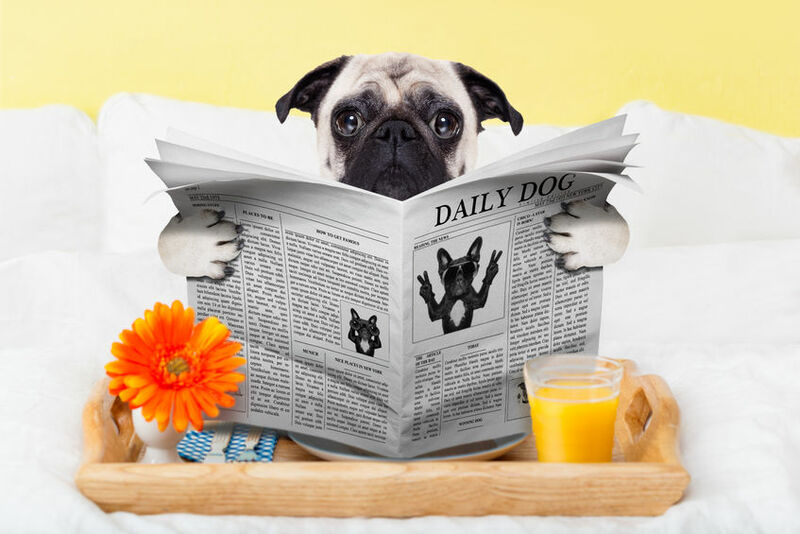 GRAIN FREE DOG FOOD, TAURINE DEFICIENCY AND HEART DISEASE - WHAT'S THE STORY? I would imagine that many of you have heard or read about recent concerns regarding grain free diets and the potential for heart disease in dogs eating them. This article is designed to sort out fact from conjecture and answer some of your questions. The concern is that Grain Free Diets may lead to taurine deficiency and that taurine deficiency has been linked to Dilated Cardiomyopathy (DCM) in dogs. In full disclosure, I am a Board Certified Veterinary Dermatologist with 35 years of practice experience and I have a Masters degree in Nutrition and Skin. I am not a boarded Cardiologist or Nutritionist. I do prescribe limited ingredient diets for my food allergic patients and many of these are grain free. Prescription diets are nutritionally balanced; some over the counter limited ingredient diets may not be. Certainly opinions abound on the merits of a raw diet, or a grain free diet, or paleo, gluten free, etc etc. There is A LOT of information out there - some accurate and some misleading. And even when you do "research" on the internet, how reliable is the source of the information? What you should know is that there has never been any truth to the statement that grains are harmful to our pets and even less evidence (if that is possible) that grain free diets are healthy. The choice to feed grains or grain free is simply a choice. That's all. There is no perfect diet for every pet. Not one. However, I will do my best to present the FACTS regarding this particular issue . At the end, I will provide my opinion and reasonable plans of action that should alleviate some of your concerns about your best friend's best dietary health. Let me know your thoughts! So, what is “THE ISSUE” ? In early 2018 several cases of Dilated Cardiomyopathy (DCM) were recognized in dogs that do not typically have the disease. 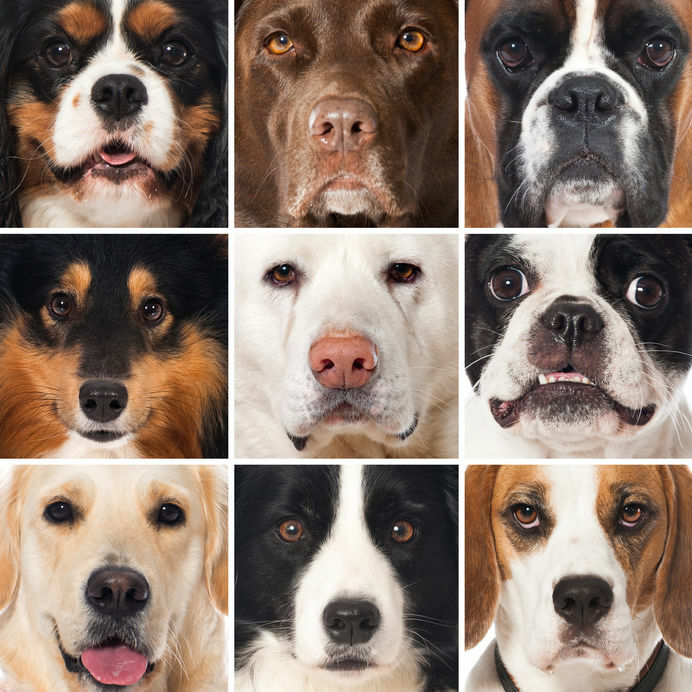 A pattern emerged that several of these dogs were being fed a grain free diet. ANECDOTAL reports implicated some grain free diets or diets containing legumes (peas, lentils, chick peas, beans, etc). A suspicion that these diets may lead to taurine deficiency and the development of dilated cardiomyopathy (DCM) raised the alarm among veterinary cardiologist. Some of these dogs were tested and found to have low or very low blood levels of taurine. Since taurine deficiency has been determined to be a cause of DCM, these dogs were placed on a taurine supplement and the diet changed. Some (but not all) saw signs of clinical improvement. What is interesting is that this same issue arose in the 90’s in regards to lamb and rice (rice bran) diets. Those diets were determined to be taurine deficient. A recent article in the New York Times provides a decent overview of the issue (https://www.nytimes.com/2018/07/24/health/grain-free-dog-food-heart-disease.html) . The concern is that DCM is occurring in breeds not typically genetically prone to the disease. As of July about 150 cases have been reported through the veterinary Cardiology community. On July 12, 2018 the FDA issued a public notification about the agency’s investigation into reports of DCM occurring in dogs eating certain pet foods containing peas, lentils, other legume seeds, or potatoes as main ingredients. Several veterinary cardiologist across the country are in the process of evaluating the issue and have yet to draw a direct causal association among grain free diets, taurine deficiency, and DCM. The fact is the veterinary medical community JUST DOES NOT YET KNOW WHETHER THERE IS A CONNECTION BETWEEN GRAIN FREE DIETS, TAURINE DEFICIENCY AND DILATED CARDIOMYOPATHY. THAT’S RIGHT! WE DON'T KNOW!! There is enough suspicion for the FDA to issue a warning however, and that is significant. This is a serious disease so until we know better, pet owners that are feeding this type of food need to be informed. Several articles have appeared in lay publications that have brought the issue to the public. My opinion is that the titles of the articles are misleading. It Is important to get a handle on the facts and then make a choice that is in the best interest of your pet. There are no recalls yet and millions of dogs seem to have eaten these diets for years with no obvious adverse effects. But it is scary to think that a limited ingredient diet, carefully selected with your pet’s best health in mind, could somehow make your pet sick. First Question: What is a grain? Well, in pet foods it includes corn, soy, wheat, barley, oats and rice. Grains are used in both dry and canned pet food to provide carbohydrate, protein and fiber. They are used to help bring into balance the nutrient profile of a specific diet. What does grain - free mean? It means the food should be free of grains, although some foods labeled as grain free contain barley - which is a grain. The term also implys that having grains is somehow bad for your pet. Grains are not bad or good. They are a type of food. “Grain-free” is a marketing term rather than a health term. There are no data that show that a grain free diet has any health benefits for dogs and cats over more traditional diets. NONE. Grain free diets for pets (and us!) is a huge part of the marketing conversation around what is “healthy”… and we have bought into this craze hook, line and sinker. We reach for these diets because they are billed as more “natural” and less likely to cause health problems and allergies. “Grain Free” is NOT that! It is simply a food choice and choices may have consequences if we are not fully informed when we make them. Too much of anything is not healthy. There is nothing right or wrong with a grain free diet and there is no nutritional benefit to feeding one either. Either way is fine as long as it is nutritionally balanced and complete. If you wish to feed a grain free diet, just be sure to do your homework and know that your choice is a balanced and complete diet. In my practice, food allergy is a common problem. FOOD ALLERGY IN DOGS AND CATS is caused by your pet’s immune system misidentifying a food protein (meat or non-meat) as foreign and potentially harmful, then OVER reacting to it leading to an adverse reaction (itching, redness, rashes, vomiting, diarrhea, secondary ear and skin infections, etc). 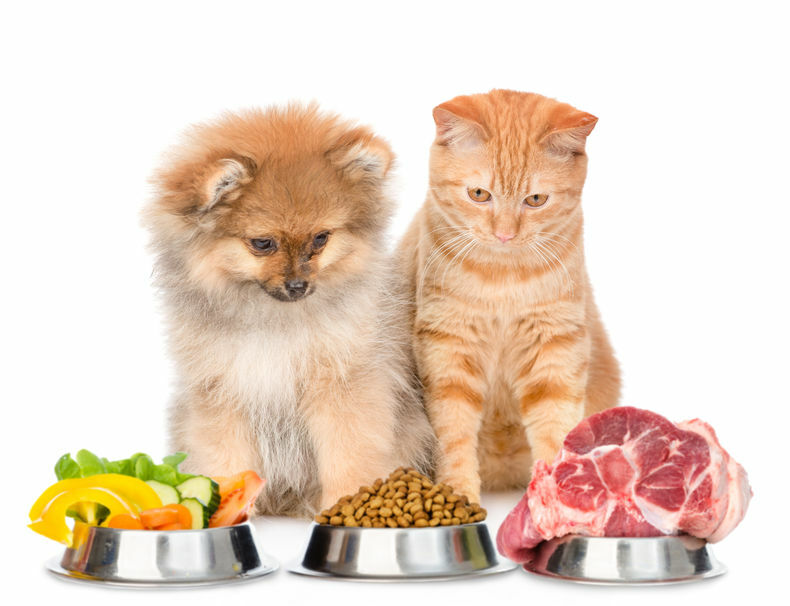 The culprit can be ANYTHING that has been a part of your pet’s current or past dietINCLUDING animal proteins (meats, poultry, fish, eggs, cheese) and plant proteins (peas, soy, corn, rice, barley, oats, wheat, potato, sweet potato). There is no reliable evidence that grains are harmful. In fact grains provide valuable nutrients (vitamins, essential fatty acids, and fiber), sometimes in a form that is easier to digest than some meats. What surprises most pet parents is that grains are UNCOMMON food allergens. Most of the time the allergy is caused by the meat/fish/poultry component. The most common animal protein in both grain free and grain containing diets are poultry (chicken, duck, turkey), fish and egg AND these are the most common causes of food allergy in dogs and cats. Over the years I have seen a growing number of rice and potato sensitive patients as well. Why? Because these ingredients have become common in pet foods. I have never seen a pet with a wheat allergy. In fact wheat is rarely in pet diets - (never has been), but it does show up in treats. 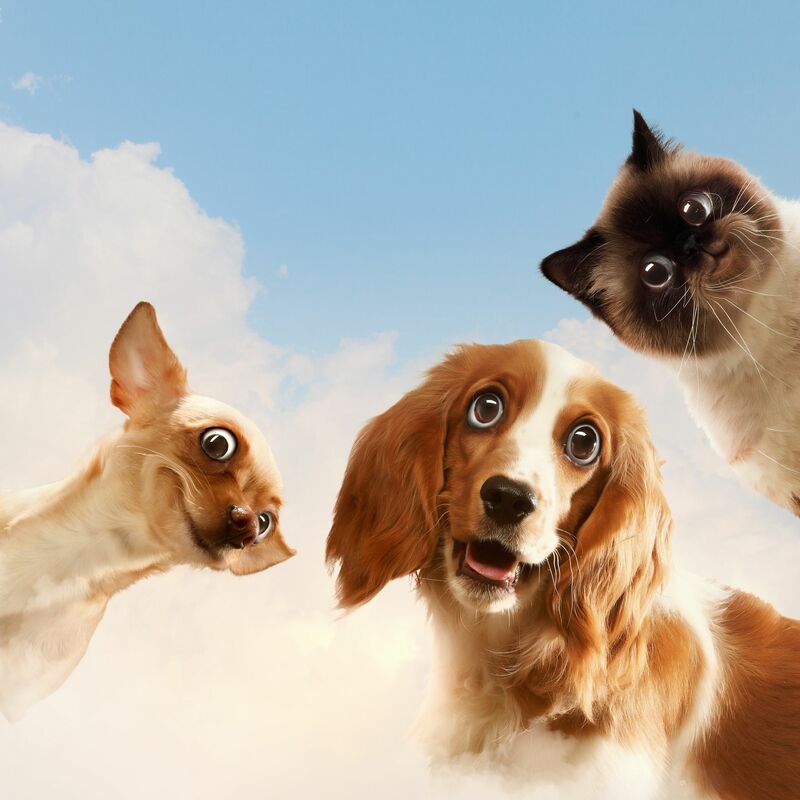 Of particular note is the fact that gluten intolerance with GI signs just does not occur in dogs and cats. It has only been documented in the literature in one inbred family of Irish setters and never in cats - that’s how rare it is. Canine DCM is a disease of a dog’s heart muscle and results in an enlarged heart. As the heart and its chambers become bigger, the muscle wall becomes flabby and thin, and it becomes harder for the heart to pump blood. As a result, the heart valves may leak, leading to a buildup of fluids in the lungs, chest and abdomen. In the final stages signs of congestive heart failure develop (distended abdomen, exercise intolerance, increased breathing effort, cough, fatigue, collapse ). DCM is a congenital condition in some breeds. In those where the condition is not congenital, heart function may improve where taurine deficiency has been identified and the deficiency treated. The interesting thing is that dogs can make all the taurine they need if given the needed precursors (methionine and cysteine) in food. But some dogs develop a deficiency even when they have been provided plenty of taurine. It is also important to note that not all dogs with taurine deficiency go on to develop DCM. Every pet is different. The genetic predisposition to develop DCM occurs in a few large and giant breed dogs, such as Great Danes, Portugese Water Dogs, Boxers, Newfoundlands, Irish Wolfhounds, Saint Bernards, Golden Retrievers and Doberman Pinschers. The American and English Cocker Spaniels are also predisposed. Cases that have been reported to the FDA have included Golden and Labrador Retrievers, French bulldogs, schnauzers, as well as other small breeds and mixed breed dogs. Taurine is an amino acid that is used in the body for a variety of vital functions. It is found in high concentrations in the eyes (required for retinal photoreceptor cell survival (vision), intestinal tract, bile, and in muscle including the heart. It plays a role in neurotransmission (GABA receptors in the brain) and stabilization of fluids within cells. It is an essential nutrient in cats because they can’t make it. A healthy heart is supported as long as the precursor amino acids are in the diet. Dogs can make it out of the sulfur containing amino acids (methionine and cystine) so typically it is not added to dog foods. What causes a deficiency in taurine? The precursor amino acids as well as taurine itself are in very high concentrations in muscle meat, fish and eggs . It is absent or exceedingly low in plants. Vegetarian diets without added taurine are likely to be deficient diets. In addition, legume based diets (peas, beans) and potato based diets that are not properly formulated with other amino acid sources (eg. don’t have taurine added or enough meat/ animal protein to provide the precursor amino acids) may lead to taurine deficiency. What may have occurred with some grain free diets is that although the protein requirements established for dogs were met on paper, the need for sulfur containing aminio acids was overlooked. There are a lot of OTHER possible conditions that may lead to Taurine deficiency. These become more obvious if the diet is borderline deficient to begin with. Dogs with lower energy needs (the larger breeds) may not eat enough of the precursor AA to make enough taurine. The issue really is not whether the diet is Grain Free or not. The nutrient profile (what the diet is made of) is the key. The liver does not care about the source of nutrients per se, but it does require certain types of nutrients to make taurine. Dogs require sulfur based amino acids, which come from animal protein, in order to make taurine. If a grain free diet provides the bulk of its protein from plants (pea, potato, etc) and does not have enough of the precursor amino acids to make taurine, the diet will be deficient. In addition, the fiber content, bioavailability of nutrients (how well the body can extract nutrients from food), bacterial profile in the intestinal track (good gut bacteria help process and transport the nutrients we eat), and energy requirements of the dog all play a role in how taurine will be made and used. There are diets formulated with pea and potato protein that are just fine. But if a diet is high in plant fibers which impact bioavailability, then the diet may be deficient on an as-fed basis even if the diet appears to be adequate. Just reading the label is not going to give you all the information you need to make a decision. You need to ask the manufacturer. A food with lower bioavailability may test at a lab at a higher level than what the body can actually digest/absorb. There have been a few diets that have been specifically targeted as being deficient but no diets have been recalled. I know the raw food advocates are screaming that this does not happen with a raw diet. But here is the truth. Raw is no healthier than grain free or gluten free IF IT IS DOES NOT HAVE A BALANCED NUTRIENT PROFILE. Raw does not equal balanced and complete. The body does not care if a food is raw or cooked, just whether it has access to the needed building blocks. It is true that processing can change the nutrient profile and deplete some key ingredients. Knowing how to make the necessary adjustments in any formulated diet is key to insuring that the diet is BALANCED AND COMPLETE. Why didn’t anyone know about this before ? “I suspect that [the cause for the deficiency leading to DCM] will be similar to the cause for taurine-deficient cardiomyopathy in dogs fed lamb meal and rice with rice bran diets in the late 90s/early 2000s. It could be an anti-nutritive property of peas and other legumes, but as the larger pet nutrition companies …. have been using pea protein in some of their therapeutic diets successfully for decades (without creating taurine deficiency) I suspect that it will come down to specific diets and manufacturers that use poorly digestible dietary proteins (plant and animal), low total sulfur-amino acid levels in the diet, increased dietary fiber causing enhanced loss of [taurine] in stool, and low conversion of cysteine to taurine in large and giant breed dogs. [The Veterinary Nutrition Community] was aware even if certain "premium" dog food manufacturers were not. First, DON’T PANIC! If your pet is not food allergic or the diet you are feeding is out of choice rather than necessity, change the diet! There really are way too many good choices out there. Pick one that is not grain free and is made by a company with a long track record of producing good quality diets that they have tested. The World Small Animal Veterinary Association (WSAVA) has established very specific nutritional assessment guidelines for pet foods. The following companies/ diets are known to follow these guidelines (but sadly even that can change): Purina brands: ProPlan, Merrick, Chow, ONE, etc. ; Hill's brands: Science Diet, Healthy Advantage, etc. ; Mars brands: Royal Canin, Iams, Eukanuba, Nutro, Pedigree, etc. If your pet is food allergic, then hopefully diet challenges have revealed what can and cannot be fed so that we can find an appropriate commercial diet for your pet. If you have not completed diet challenges, now is a good time to do it. It will provide vital information required to make a change that will not trigger the food allergy. Have your pet’s blood tested for taurine levels. If the levels are normal, the diet is fine and you have nothing to worry about. If the levels are low, it is advised to have chest x-rays and an Echocardiogram done to assess the function of the heart. If those tests are normal, just change the diet or add a supplement (or both). Doses and selection of a supplement should be done under the direction of your veterinarian. A follow up blood test should determine if the adjustments were adequate. Having low taurine levels on a blood test does not automatically mean your pet will develop signs of heart failure or DCM. It does mean that they are at a HIGHER RISK of developing one of the conditions associated with taurine deficiency. Steps should be made to reduce the risk. A note about supplements. A study published in 2009 (J Am Vet Med Assoc. January 2009;234(2):209-13) evaluated 11 commercially available taurine supplements. While 10/11 met label claims of content, disintegration of the product was observed in 4 of the 5 tested. Stability over time could be an issue. If your pet is food allergic and it took a long time to find a diet that did NOT provoke an adverse reaction and that diet is grain free, and you do not want to do the blood test, then let’s talk about the option of adding MEAT or EGGS to the diet (only if they are not allergic to it). Alternatively, you can add a vitamin supplement containing methionine and cysteine to make sure your pet’s diet contains the building blocks necessary to make taurine and other nutrients that rely on the sulfur containing amino acids for normal function. Amino acid or taurine supplementation require direction from your veterinarian. 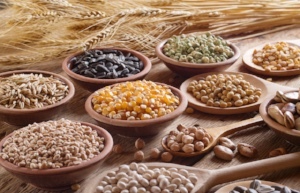 In many grain free diets, legumes are used to provide the carb (starch) but also protein and fiber. The amount of protein is listed on the label, but you cannot tell which ingredients are providing various proportions of nutrients from an ingredient list. Legume protein is low in sulfur amino acids (methionine and cystine - the precursors for taurine synthesis) so diets high in legumes may result in a deficient diet. We know that some breeds, like the Golden Retriever, are susceptible to taurine depletion and DCM for reasons we don't understand. Some were fed grain free while others were not. In other breeds fed grain free diets diagnosed with myocardial failure, taurine deficiency has not been found. Know what's in your pet's food. It sounds like a lot of work and you should not need to do it given the cost of pet foods these days. But knowledge is power. The most effcient way is to ask the manufacturer. If they can not provide written documentation of analysis of their food, chances are they have not done it. There are too many choices out there for you not to pick one that you can be confident is truly a healthy diet. Adding meat to the diet or rotating the food is one way to potentially correct a diet deficient in taurine (and other nutrients!) because taurine is naturally abundant in meat, eggs and seafood. But how much is enough? Each pet is different. The key is to provide adequate sources of the amino acid precursors, methionine and cysteine. Muscle meats – including tongue and heart, eggs, and seafood provide huge amounts of both taurine and their precursors - and frankly it does not matter whether it is cooked or raw. But it should not be added “willy nilly”. So consult your veterinarian to know what is right for your pet. If you have a favorite diet that you want to continue to feed, then ask the manufacturer to provide documentation for their nutrient anaylysis. There are also tools that will allow you to have a home cooked diet analyzed for balance (BalanceIt.com is one site you may be able to consult). Just do your homework. Dogs can MAKE taurine from key amino acids present in most pet foods. Most dog foods are not supplemented with taurine for this reason. If sulfur containing amino acids (methionine and cysteine) are not available in the dog food, a dog can become taurine deficient over time. The grain free diets out there that are deficient are that way probably because they weren’t tested after they were made and the manufacturer didnt know they needed to. If they haven’t been tested, the company can't know. To know for sure whether your pet is taurine deficient, have a blood test done that measures taurine levels in the body. It is a simple blood test and will provide valuable information on the effects of the grain free diet you are feeding. A diet can be full of great-sounding ingredients, and still not meet your pet's nutritional needs. The AAFCO (American Association of Feed Control Officials) statement, otherwise known as the "nutritional adequacy statement" tells you whether the food is designed for a dog or a cat, and whether that dog or cat is a growing, pregnant or lactating, or an adult at maintenance. It means the diet meets the minimal standards, not optimal standards. A company can claim that it meets AAFCO standards, but you have to look deeper to understand HOW they are able to make the claim. Some just plug their ingredients into a computer analyzer - which does not take into account how processing affects the physiologic impact of the nutrients. Feeding trials are the gold standard but are not commonly done. My bet is that the grain free/ taurine deficiency/ DCM issue is going to have less to do with grains, legumes, or potatoes per se but will point to the need for good, well documented balanced nutrient profiles for pet foods. What may emerge from this controversy is a new standard for balanced pet foods. It may put some of the smaller boutique foods out of business because unfortunately they may not be able to afford the analysis. 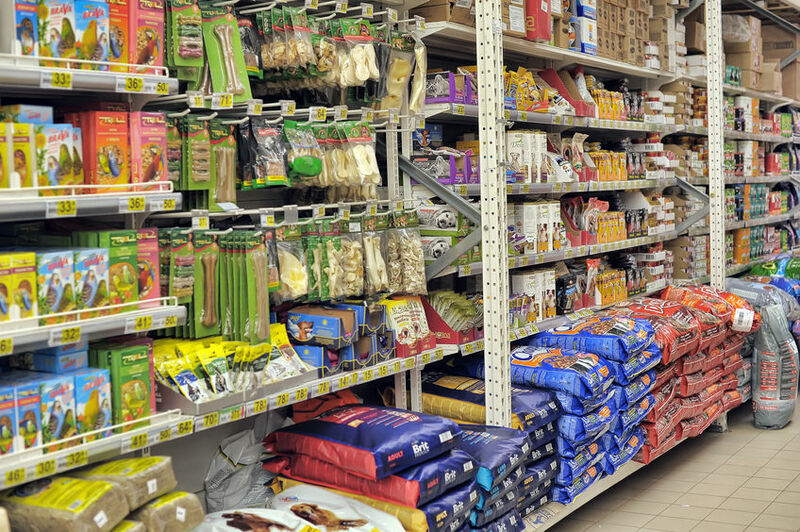 Still, if a pet food is going to make health claims, it needs to be able to back it up with sound well documented evidence that the food is balanced and complete. If your best friend does not have a food allergy or some medical reason to be on a limited diet, the best advice may be to change away from a "grain free" diet and go with something more long term "tried and true" until we figure this out. I hope this helps! If you want to discuss trying a different diet, let’s discuss at your next visit or shoot me an email. Here's to your pet's best health!